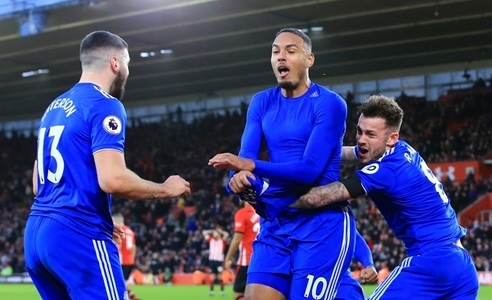 Ken Zohore scored in the 94th minute to earn a huge three points for Cardiff City. 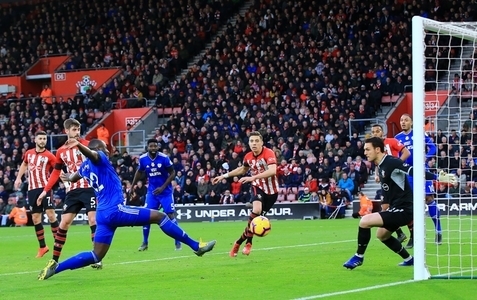 The winning goal came a couple of minutes after Southampton thought they had grabbed a draw when Jack Stephens cancelled out Sol Bamba's 69th minute goal. It wasn't the best game and for long periods Southampton were on the front foot but Cardiff are built of sterner stuff these days and when Callum Paterson's seal-like leap won a header Sol Bamba reacted quickest to score. Sol went into the crowd and the book and it looked to be the winning goal until the home side levelled in added time. A corner was flicked on and missed by everyone before Stephens stabbed in at the back post. The tide had turned and surely now only one team would build on that momentum and go on and win - WRONG. Cardiff got the ball down the other end and after a scramble in the box that Southampton couldn't clear Victor Camarasa acted as a shield for Zohore to sneak the ball into the corner of the net. Cue pandemonium as the 3,200 visiting fans took the roof off the place. City survived the final seconds to earn their first back to back top tier wins since 1962 and to move out of the relegation zone. Next up City face Watford at CCS on Friday week (22/2/19) and five days later Everton are the visitors to south Wales on the 26th. Both 7:45pm kick offs.